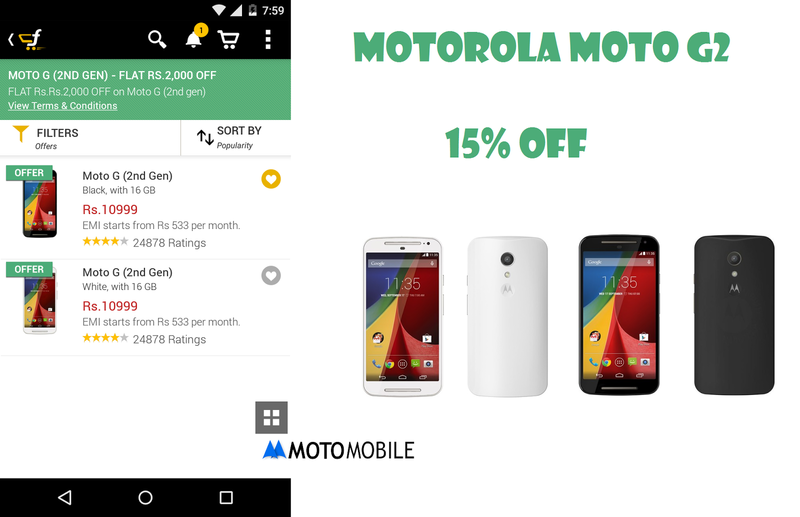 Flipkart , the online retailer which sells Motorola Products at India has recently started Big App Shopping Days . In which all the products are available with Offers , Discounts and more . Motorola Moto G 2nd Generation comes with a Price tag of Rs. 12,999/- , which is sold by Flipkart.com . Today is the last day to Grab Moto G 2nd Generation at Rs. 10,999/- . Moto G 2nd Generation is available At 15% off , The price is for today only , Grab it till the Stock Last ! To avail this offer , One must open Flipkart with their Android app .